As you know, a handful of Nokia Lumia 900s experienced data connectivity issues. Nokia promised an update would be available by April 16th and offered a $100 rebate to everyone that purchased the phone before April 21st as a gesture of goodwill. Those affected have the option to swap their phone out with a new device or wait for the software update. If you’re among those who are holding on waiting for the software update, we have good news for you tonight. 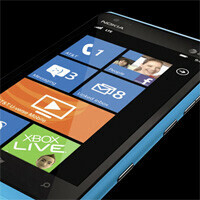 Nokia has announced that the software update is available now – a full 3 days early. You can simply access the update through Zune or Windows Phone 7 Connector for Mac right now. Wow, so basically you can get this phone free.....good deal. The update is out 3 days early! Wow, this is a nice time to buy a nokia phone. This makes me happy. Difference between Apple and Nokia ( WP7 ) is that people line up to buy iphone 4 and for Nokia, give it for free. Apple don't worry about their market but Nokia sure is. Nokia also have to update fast because of their ad ( beta tester ) not to backfire. If this was an Android problem, nothing would be done by anybody. Most people don't have time to hack their phones to make them work. You will not fall Nokia . You will rise again and win !!! That's kinda Quick.... Good NOKIA!